This city’s relationship with gambling has a dark history, with Victorian times seeing its drinking holes and dens of debauchery hosting wagers of such depravity they made pursuits such as dogfighting and bare-knuckle boxing seem tame by comparison. Nowadays, legal betting parlors are omnipresent, mostly dealing in the sporting wager, but British punters have found a new spectacle of excess to put their money on — the U.S. presidential election. 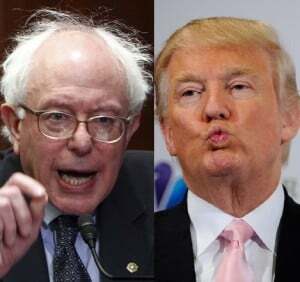 The high-profile campaigns of Donald Trump and Bernie Sanders have sparked a flurry of wagers from gamblers. 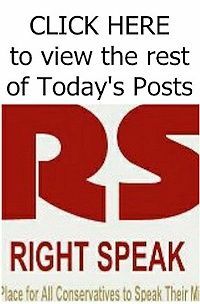 “Let’s face it, a political race does have plenty of similarities with sport,” Phil Benjamin, 54, a taxi driver, told USA TODAY Sports on Saturday while at a central London branch of the William Hill betting chain. Ladbrokes, a bookmaker that opened its doors in 1886, says its U.S. election market is on course to shatter records for a presidential election cycle, while the odds on Trump and Sanders have shortened drastically in recent weeks. 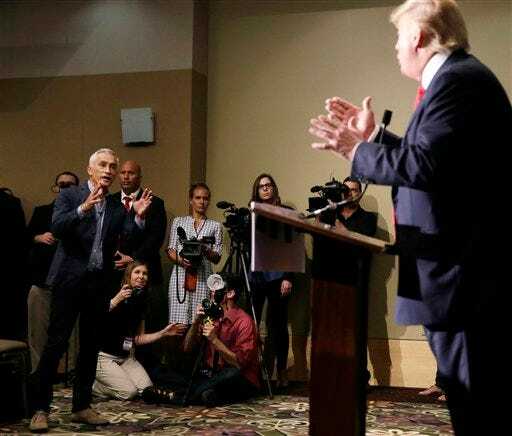 After Trump’s verbal spat with Univision anchor Jorge Ramos on Tuesday, Ladbrokes reduced Trump’s odds from 4 to 1 to 3 1/2 to 1 to win the Republican nomination, with Sanders at 6 to 1 for the Democratic nod. 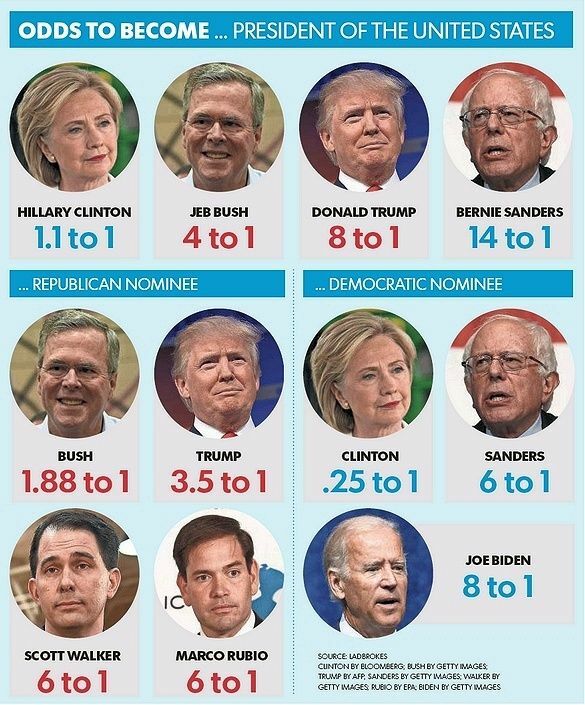 To become president, Trump is listed at 8 to 1, behind only Hillary Clinton (1.1 to 1) and Jeb Bush (4 to 1), with Sanders tied for fourth-favorite along with Joe Biden and Marco Rubio at 14 to 1, according to Ladbrokes. Rival bookie Paddy Power has Trump at 13 to 2 to become president; Sanders 12 to 1. Both Trump and Sanders were available at more than 100 to 1 earlier in the year. “America fascinates Britain, as it’s an alternative vision of a similar society to ours that split off 200 years ago,” said professor David Hastings Dunn, head of the University of Birmingham’s political science and international studies department. “It offers a view of a parallel universe for Britain’s ideas and culture. We don’t always like the result, but we do like to watch it unfold.